There were 234 car crashes in Utah after the latest snow storm. Donny Osmond is responsible for one of them. 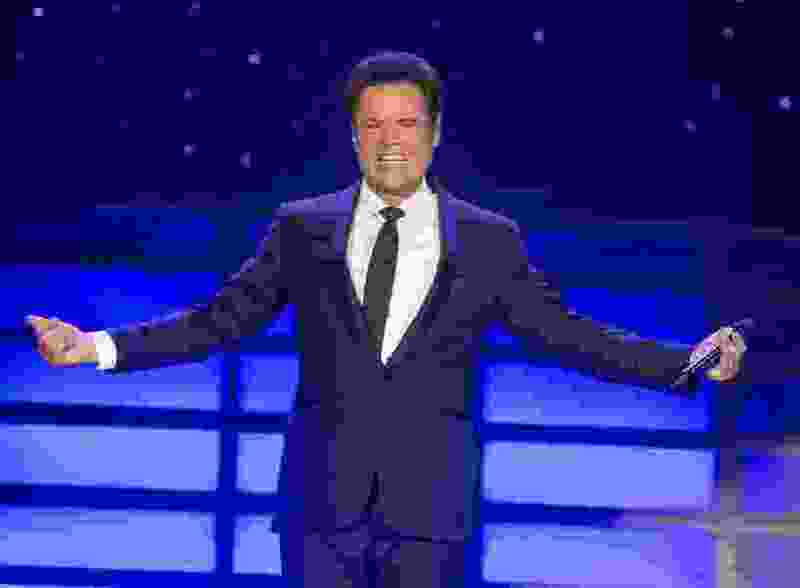 (Owen Sweeney | Invision | The Associated Press) Donny Osmond performs in concert as Donny and Marie Osmond at the Santander Arena on Tuesday, Aug. 22, 2017, in Reading, Pa.
Major snowfall in Utah resulted in 234 car crashes Monday — and one of them involved Donny Osmond, according to FOX 13. The singer-songwriter tweeted a photo of himself, his vehicle and a smiling repair shop worker after he hit a tree, FOX 13 reported. According to the Utah Highway Patrol, Osmond was in good company. The department tweeted that, as of 9 p.m. Monday, there were 234 crashes statewide. Crash number update: 234 crashes statewide as of 9 pm. Monday’s storm dumped heavy, wet snow across the state. Early snow totals include 8.5 inches in parts of Salt Lake City, as much as 18 inches in parts of Sandy, a foot in Tooele and half a foot in Murray. Some of the ski resorts in the state, including Alta, got up to two feet of powder.